Dave Grohl has apparently decided that being a guest talk-show host is not the best use of his time on late-night television. 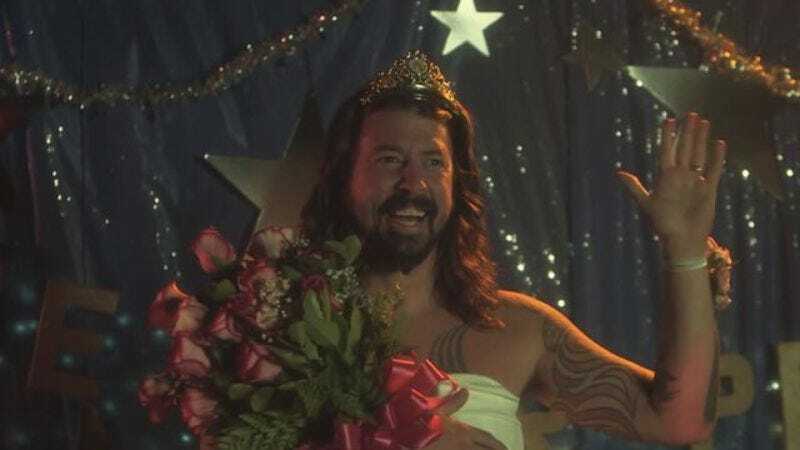 The musical multi-hyphenate (actor, director, Carrie re-enactor) will return to nighttime TV, but this time with Foo Fighters in tow. Taking a cue from Justin Timberlake, Foo Fighters will be doing a weeklong residency on The Late Show With David Letterman, performing as musical guests the entire week of October 13-17. The final date of the band’s residency will also see the premiere of Grohl’s new docu-series, Sonic Highways, which details the recording of the band’s most recent album of the same name. It was recorded in eight different cities, presumably in an effort to see if spending days on end cooped up with the same five guys gets less stultifying when you change the wallpaper.